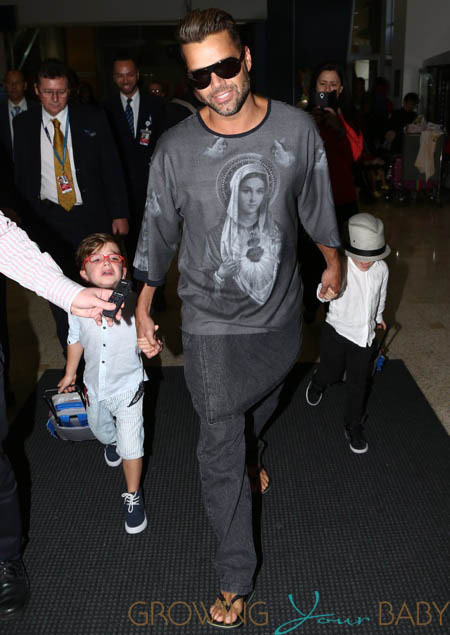 Ricky Martin was photographed arriving at the Sydney airport on Thursday ahead of his 7 date tour across the country. The singer was accompanied by his twins Matteo and Valentino. The boys held their dad’s hand as they made their way through the airport with their rollie suitcases in tow. Matteo looked to be a taken back by the welcome and appeared to be in tears as they headed to an awaiting car. “I am looking forward to Newcastle, I am looking forward to every show. It’s going to be a fantastic tour, I am really looking forward to it,” he said. Moodelli Baby Box ~ 3 Cribs in One!